No matter what type of website you run, you likely have some form of a call to action (CTA) on one or more pages. However, not all CTAs garner the results you'd like. What is that magic elixir that makes one CTA outperform others? Around 47 percent of websites have a CTA button that's easy to spot in three seconds or less. Place your CTAs where they are easy to see and focus on the action you'd like the user to take. Here are seven improvements you can make to your CTAs today to increase your clickthrough rate. Readers often skim over webpage content. Make sure your CTA buttons are actionable, so users understand they are supposed to click on the button and complete the action indicated. An actionable-looking button might sound obvious, but you'd be surprised how often buttons blend in or don't look as though they link to anything else. There are any number of ways of indicating your button is actionable. Add beveled edges or shadows to it so it stands out. Use text that shows the user will get a particular result if it's clicked on. Make it a different shape than other elements on the page. Whistle uses a button in the shape of an oval, which contrasts with the square and rectangular elements on the page. Even though there is another button, it fills in the CTA with a solid background and gives it a bright lime green color to grab the user's attention. It's clear what will happen when you click on the button — you'll be taken to a page to purchase the GPS pet locator. Speaking of standing out, your CTA button should be in a bold, bright color that contrasts with the rest of the page. There are different opinions on what colors convert best, and the truth is that it varies widely based on the audience and your particular page design. Your best bet is finding a shade on the color wheel that is opposite from your palette and stands out. For example, if your background is dark, go for a light button. Then, conduct some split testing and see which color performs best with your specific audience. Although you'll see the words "submit" and "click here," choosing something not used as frequently but that's still an action verb may be more effective in capturing user attention. An authoritative statement performs better than a question. Users are psychologically influenced to click on your button. 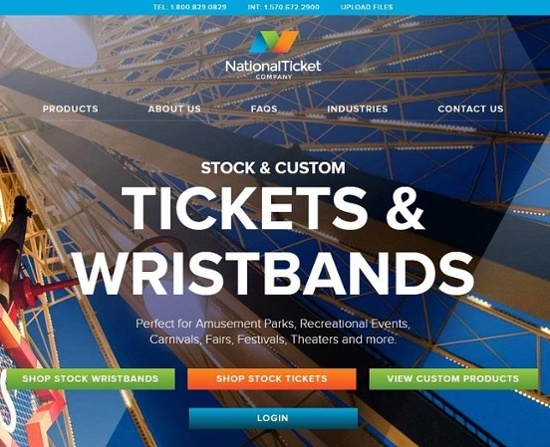 National Ticket Co. does a good job choosing just the right action verb to drive CTR. The words "Shop Stock Wristbands" makes it clear what happens when a user clicks on the button, but the word shop is a bit unusual, so it grabs attention. However, it is also an action verb, instructing the user about what the next step is. As a designer, it's tempting to add additional elements to show the client how much value they're getting for their money. However, in design, white space is equally important. Adding a bit of additional negative space around your call to action button draws attention to it and shows visitors the element is important enough to warrant a spot of its own. In a couple of different case studies, designers noted that adding an arrow to a CTA button increased clicks. Helzberg Diamonds saw a 26 percent increase in CTR by merely adding a pointer to the button. Another company selling used phones experimented with removing its green arrow icon and had a drop of 12.29 percent in conversions. Something as simple as an arrow draws user attention and improves your button's performance. Note how Backlinko adds a simple arrow icon pointing to the form field to get users to sign up for marketing tips. 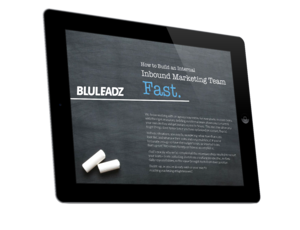 The purpose of the landing page is gathering leads via a mailing list, and the focus turns toward converting site visitors to subscribers with that one black curved arrow. A personalized CTA button performs better than a generic one, but how can you create this experience when you don't know each person visiting your page? Fortunately, you can quickly develop buyer personas and then create landing pages geared to each segment of your audience. The CTA button on that page reaches its audience with words meant to engage. Put yourself in the shoes of the user and figure out if they'd prefer first-, second- or third-person language. Personalize the button to match the subject matter on the page and the main reason why the user landed there. One of the best things you can do to learn about good CTA is by studying what your competitors do, as well as other successful brands outside your industry. Take notes on everything from placement of the button on the webpage to color to wording. Are there other elements and copy that point to the CTA, and if so, how do they drive their buyers through the sales funnel? Once you have a list of the best buttons you've discovered, try some of the techniques on your website, testing each change to see how effective it is at increasing clicks. With a little time and effort, your CTA buttons will create higher conversion rates than ever before.